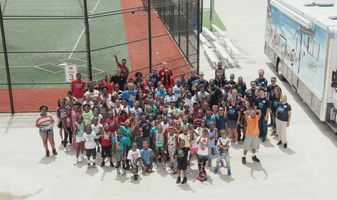 I recently volunteered at a Washington Nationals Youth Baseball Academy event, supported by VSP Global. My most memorable patient was a fifth-grade girl who never had an eye exam. She was uncorrected at 20/200 in each eye. After the exam, I witnessed her seeing clearly for the first time. Her reaction? An ear-to-ear smile.